Aha! 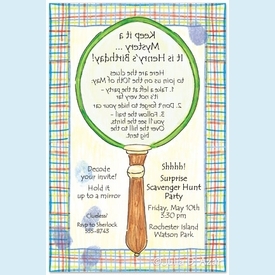 Magnifying glass invite with inked fingerprints leaves lots of clues for a fun party. 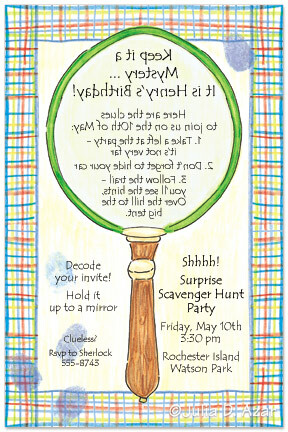 For a fun twist, print backwards in the circle so guests have to read it in front of a mirror! CLOSEOUT...only 4 sets left!